This didn’t happen on its own. The explosion of interest in growing food in and around Providence has been fueled in large part by our Rare & Unusual Plant Sale. Every May it brings more than 2,000 people to City Farm over one weekend. The money raised pays for training programs for urban gardeners and beginning farmers, for agricultural resources, for health education and for plots of land where people can grow food. The Sale also supplies the local food system annually with upwards of 20,000 vegetable and fruit plants that will be grown, sold, shared and enjoyed by Rhode Islanders. When SCLT was founded 36 years ago, its goal was to create resilient communities, in part, by empowering people with limited financial means to grow food close to home and without toxic fertilizers and pesticides. Over the next four decades, staff and volunteers have helped change statewide agricultural policies and zoning regulations, including an ordinance permitting people to raise chickens in Providence. 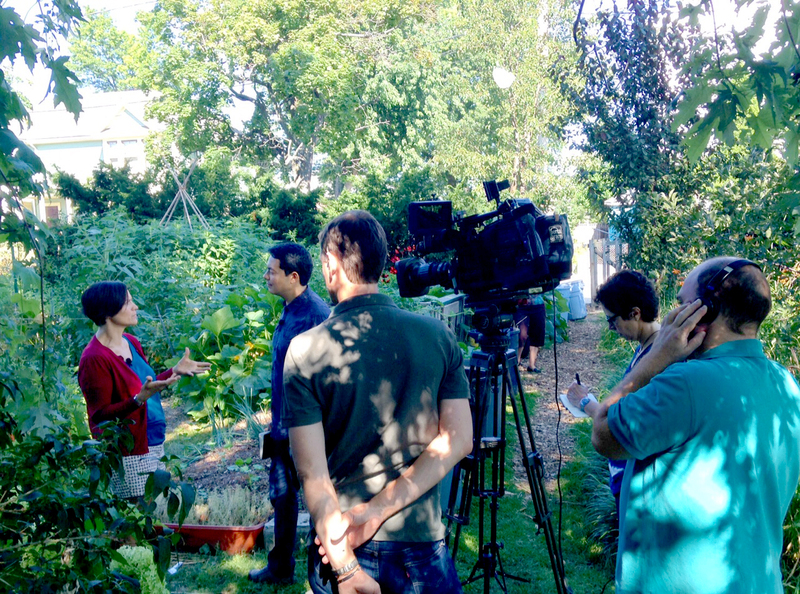 We’ve launched the RI Food Policy Council and built a network of 58 community gardens and farms in Providence, Cranston and Pawtucket where roughly 1,200 people grow food. We co-founded farmers markets and growers collaboratives and provided education and employment to hundreds of young people. 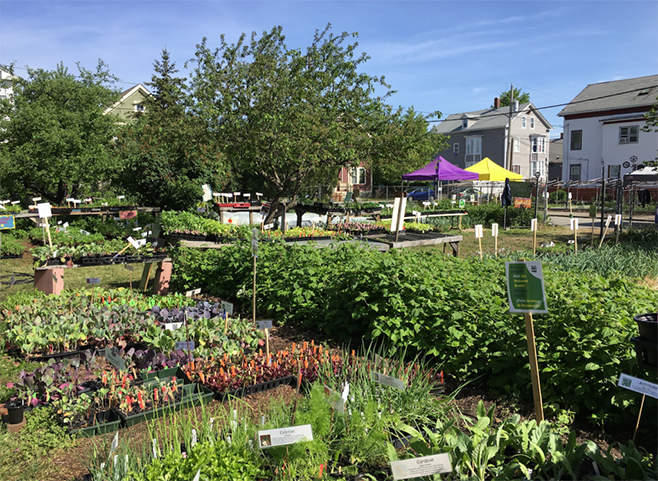 The Plant Sale has raised Rhode Islanders’ awareness of our food needs, availability and belief that anyone can grow it.